KMIDs Middle School will cover Grades 6 through 8. The Middle School program will prepare with knowledge, skills, attitudes and ethics needed to excel in High School and life. There will be traditional core tracks with options for English Language Support or Honors programs. In addition, KMIDS Middle School offers many electives, sports programs, student clubs and competitions. Every student attending Middle School Grades 6 through 8 will take a full year of English, Mathematics, Science, Social Studies, Arts, Physical & Health Education, Career & Technical Education, and World Language. 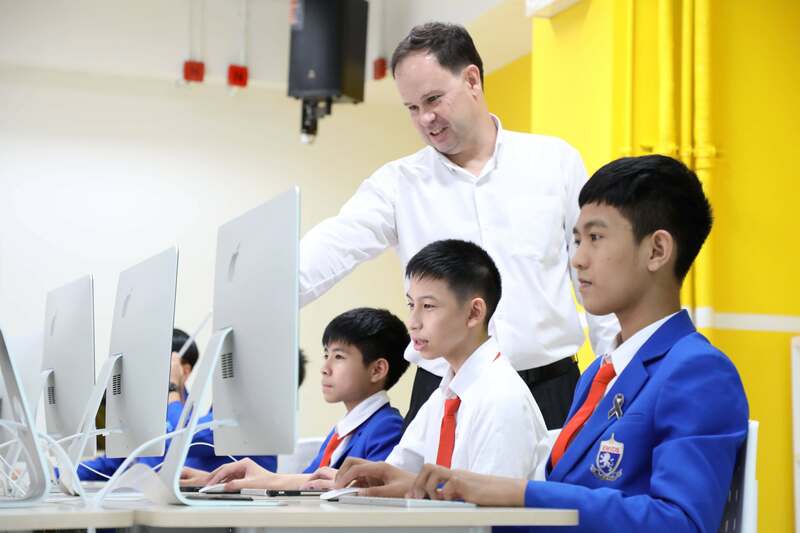 Thai nationals in Grades 6 through 8 are required to take a full year of Thai Language & Culture as their World Language. The class for Thai students will meet 4 days a week. Non-Thai students are required to take Chinese as their World Language along with Thai Language & Culture. The non-Thai class will also meet every day (3 days a week for Chinese and 1 day a week for Thai Language & Culture).